Sri Lanka’s trade deficit widened in April 2018 from a year ago as export earnings growth was flat while imports rose sharply driven by a big rise in imports of cars, the central bank said. “However, tourist earnings and workers’ remittances continued to record a healthy growth during the month,” a statement said. In April 2018, merchandise export earnings remained unchanged at 795 million US dollars when compared with April 2017 while expenditure on imports increased almost 12 percent to 1,794million US dollars. 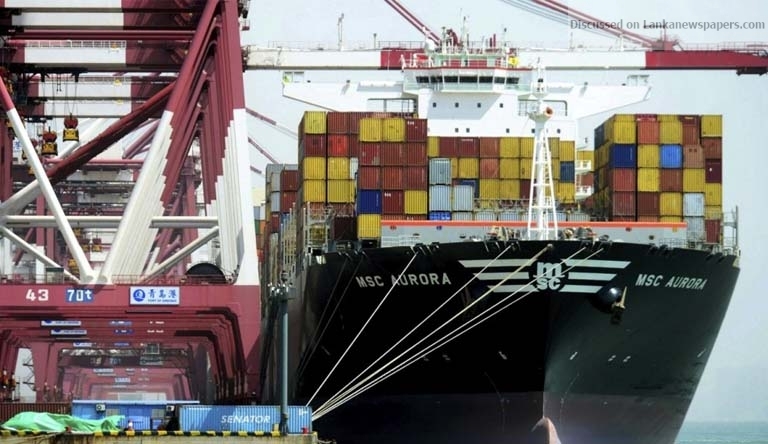 “In terms of the current account, the trade deficit expanded in April 2018 as import expenditure increased at a higher pace while export earnings remained subdued,” the central bank said. Textiles and garments exports fell 3.4 percent to 338.6 million dollars, declining for the first time since June 2017, while tea exports were almost flat at 110 million dollars. Vehicle imports rose 180 percent to 158 million dollars and refined petroleum products by 26 percent to 257 million dollars. “Import expenditure on personal vehicles, categorised under consumer goods, contributed mainly to the overall growth in imports due to the substantial increase in imports of small engine capacity vehicles, hybrids and electric vehicles,” the statement said. Expenditure on textiles and textile articles reduced marginally driven by lower fabric imports in April 2018.